They are regular Faston terminals but have a little tab on the bottom to keep them from slipping out of a plastic housing. There are probably others; you just have to scrutinize the photos and drawings. I've got (or had; not sure) a string of those in a junk box somewhere that I bought when I was roughly college age & didn't know better, about 45 years ago. I have no desire to locate them again. Similar products I found talk about 'low insertion force', which is kinda bothersome; makes me question whether they will stay tight enough to avoid fretting and corrosion if they remain loose enough to move under vibration. Plus you need a dedicated crimper for those. Have you tried a regular Faston terminal on your widget? The specs indicate that they fit a typical 1/4" blade terminal. If you can slip a standard Faston in the body of your widget, and you properly support the wire leaving the widget, there's an unmeasurably small risk of one coming off, regardless of the 'latch' feature. I have seen these referred to as "relay terminals." I think they might be categorized that way on Mouser. and even older ND alternators. In the past I've purchased as few as 10 at a time from digi-key. be categorized that way on Mouser. Does Digikey (or anyone) sell these terminals? bottom to keep them from slipping out of a plastic housing. I have got to ask... Are you building your experimental to any specific specs? As an Experimental Builder, yes, you are allowed to experiment all different practices. But, I see no reason why all your wiring should not be the Best current practice. Grip Support of the wire insulation. No universal manufacturing procedures. Example Not Mil-Spec. Un-Acceptable Certified Design (FAA, AC 43.13) Yes, I know you are experimental. Why would you want to use something from the dark ages? What’s the problem with the wrapover insulation support? back is to retain the terminal in its housing. stellar track record for fast-on interconnections. a compelling reason to do otherwise. That's exactly it. I am using these terminals with AeroRocker switches. There is a plastic housing which holds all six (or eight) connectors, making installation behind a panel much easier. I tried to buy some at the local electronics emporium (Gateway Electronics) and the owner opined that he could sell a zillion of those if only he could find a supplier. I searched DigiKey and came up empty. After I send this email, I will resume my search. I found them on Mouser but I think you have to buy a roll of 10,000. Sent from my Android. Sorry Steve. Leaving terminals exposed opens up the high possibility of neighboring terminals to contact each other, or having something like a screwdriver or hardware drop on the terminal lug. When talking about the Why-Not of the metal rollover tabs. They Cut Into the insulation of the wire. This is a weak point and a breaking point of the wire MOUNT. It is best NOT to consider this rollover tab a securing point of the lug and consider it just a sloppy part of the electrical crimp. Consider why they are NOT used in certified aircraft. I hate to say this on a mainly Experimental Email Site but... Not ALL Certified Aircraft procedures are bad, or just done to satisfy the FAA, or are expensive just to line someones pocketbook. There was just a long thread on this email site that discussed Insulated Crimp Connectors. The insulated part of the lug Supports the insulated part of the wire. It gives it a secure holding point that DOES NOT cut into wire. Something else to view (look at Mil Spec Lugs) and consider: Lugs that are NOT insulated do NOT support the wire insulation. Over the decades I have worked in electronics I have see this type of lug you are considering fail as the rollover part cuts into the wire insulation. Mater of fact: The design of this type of rollover has changed. BUT! Has not gone away! Let the Ground Bound Clowns (Chinese Junk) that are penny pinching use them. You are a Pilot and a Builder, your plane and you are worth it. My interest in this stems more from discerning myth from measureable fact than trying to pick something suitable for aircraft, but I’m afraid I don’t believe any industrial manufacturer would use them for anything at all, if they’re even half as bad as you say. A penny saved on a termination is a false economy if it decreases product reliability, and yet here they are, in use in white goods the world over. Perhaps there’s an issue with reliable hand tool application? They are at least twice as bad as I describe. If they were so Manufacturerlly acceptable why are they not being used or recommended by ALL the aviation manufactures and experimental aircraft suppliers such as RV? As for: " A penny saved on a termination is a false economy...", PENNY HELL! The manufactures argue tenths of a cent (1 mill)! Your statement of HAND TOOL is spot ON! Look at the many ways those lugs can be used and how many of those ways will NOT produce a proper crimp. Look at the cost of a Mil-Spec Hand Tool to do the job. There is NO money saved there. If as you say are interested in: "...trying to pick something suitable for aircraft..." why not go with what is an industry standard - A Proven Industry (Aviation) Standard? YES, I know in the Experimental Aviation world you do not have to follow a majority of the FAA requirements and you SHOULD and have the right to do better. But what are you comparing your experimental idea too? Hey! Just had an idea... If you want to prove your thought process and prove me wrong. Make a simple vibration test bench and shake the S#!+ out of the the lug you picked and the ones the aviation industry use. As for: " A penny saved on a termination is a false economy...", PENNY HELL!� The manufactures argue tenths of a cent (1 mill)! Your statement of HAND TOOL is spot ON!� Look at the many ways those lugs can be used and how many of those ways will NOT produce a proper crimp. Look at the cost of a Mil-Spec Hand Tool to do the job. There is NO money saved there. was then already decades old. 'bear-hug' on the insulation without damage to it. devices by several orders of magnitude. 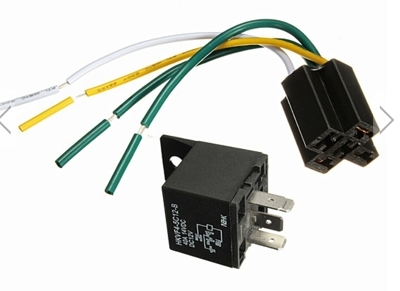 manufacturers like Tyco-AMP, Molex, etc . . .
it is likely that those concerns are moot. You are mixing Apples and Apple Sauce and coming up with Lumpy Apple Sauce. Those are PINS not Lugs. The Pins are supported by the connector. The Lugs are hanging out into the air. No support! And that is why PIDG type Lugs are preferred! Why are you installing "lugs" that are hanging out into the air? Me thinks the problem with lugs is caused by the problem of not following another good practice, which is that the wire should be tied down in some manner to isolate the crimp connection from vibration. You have to analyze the whole system. Not just one connector style. 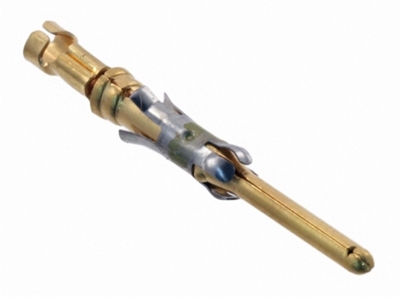 B-crimp termination of wires on airplanes has appeared in the bills-of-materials on tens of thousands of type certificated aircraft for decades. I was at Cessna when the AMP Mate-n-lock products were incorporated into the wire harnesses. I too was skeptical of these 'new kids' on the block that seemed to dangerously ignore techniques and lessons-learned in the PIDG technology which was then already decades old. [img]cid:.0[/img] The open-barrel, b-crimp technology now has a field-service record demonstrated in hundreds of millions of vehicular and stationary applications that makes them imminently suited to use on aircraft. The insulation grip does not have to 'cut into the wire' . . . as I described in the b-crimp tool comic book (and illustrated in this image from Tyco-AMP), the insulation grip should get a 'bear-hug' on the insulation without damage to it. 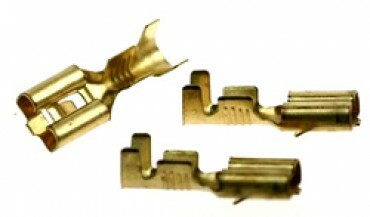 These terminals were designed to be part of a harness connector wherein two or more wires were brought into a plastic housing as a female connector that mated with a switch, relay or other device. There are hundreds of millions of examples of this technology in service all over the planet . . . including virtually all cars and trucks on the road today. B-crimp terminations probably outnumber PIDG style devices by several orders of magnitude. [img]cid:.1[/img] My only concerns for the style illustrated were for the lack of finish and perhaps an unknown pedigree for the material's mechanical properties that go to maintenance of gas-tight electrical connection. But if these are found in catalogs from manufacturers like Tyco-AMP, Molex, etc . . . it is likely that those concerns are moot. If one wished to use these devices as mates to individual fast-on tabs, one could consider adding heat-shrink over the whole terminal . . . which offers more cover than the PIDG devices. Bob . . .